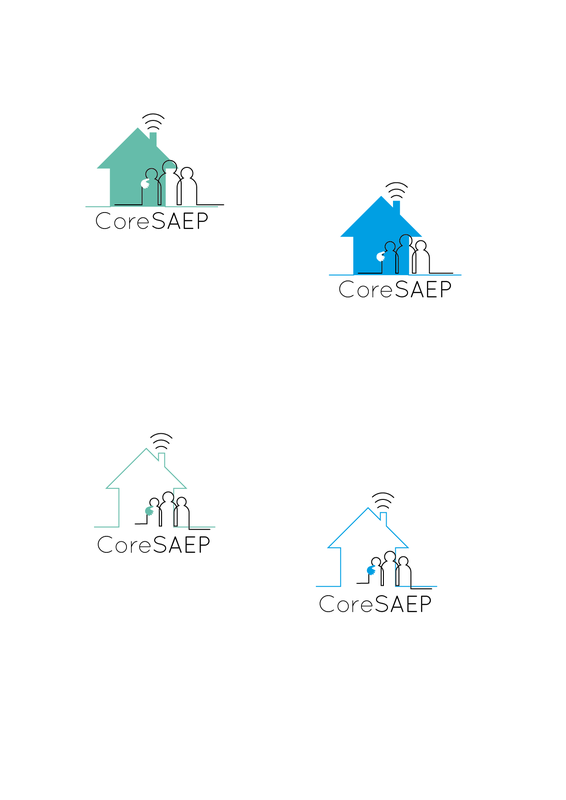 CORESAEP, stands for COmputational REasoning Socialy Adaptive Electronic Partner; BusyPencils worked on the information and visual design for a project at TUDelft which is developing a reasoning framework that combines logic and quantitative techniques for Socially Adaptive Electronic Partners (SAEPs) that adapt their behavior to norms and values of people. 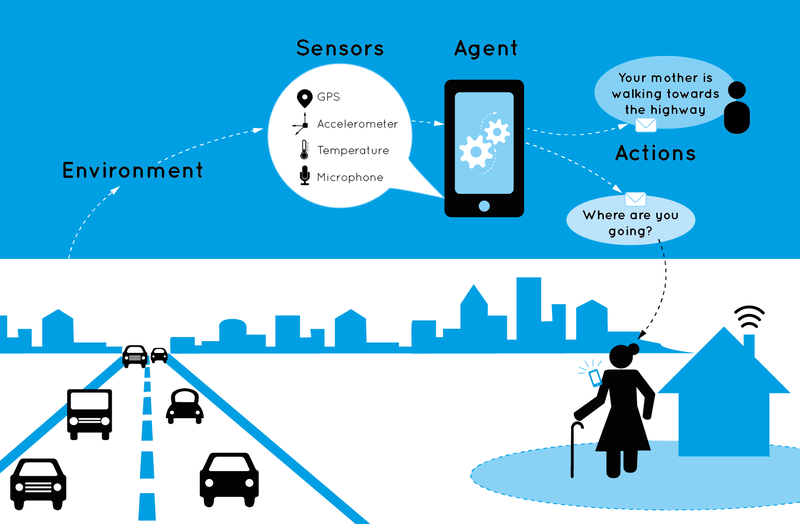 Technology for supporting people in their daily lives such as personal assistant agents and smart homes carry great potential for making our lives more connected, healthy, efficient and safe by executing tasks on our behalf and guiding our actions. 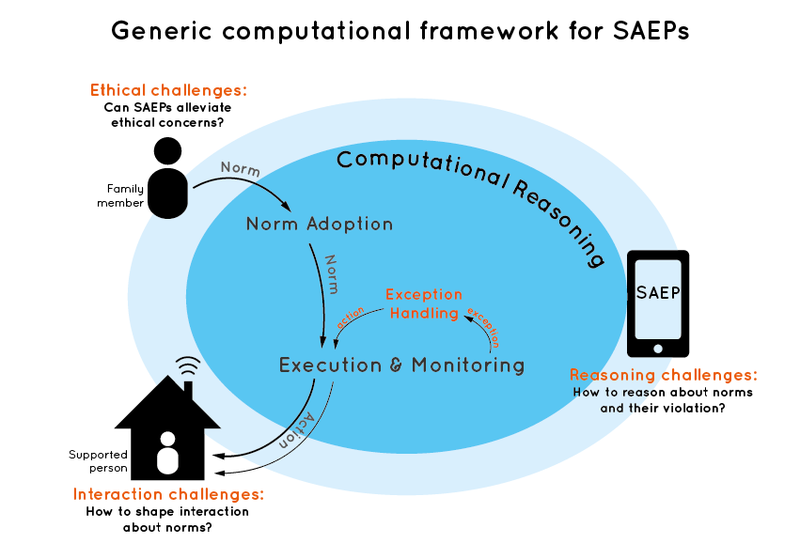 A socially adaptive electronic partner is a supportive technology which is inherently social in the sense that its support to a user is subject to norms from people in the user’s social context (e.g., family members and caregivers).The computational reasoning techniques in CORESAEP are aimed at determining when and to what extent norm-compliance can be guaranteed, and deciding what to do if in exceptional situations a norm cannot or should not be complied with. Please refer to this research paper here for more details. The first need of the project was to develop a visual identity which represents the project in all possible communication with the internal and external stakeholders. The first discussion and brainstorm lead to a consensus of what features the identity should embody and represent. 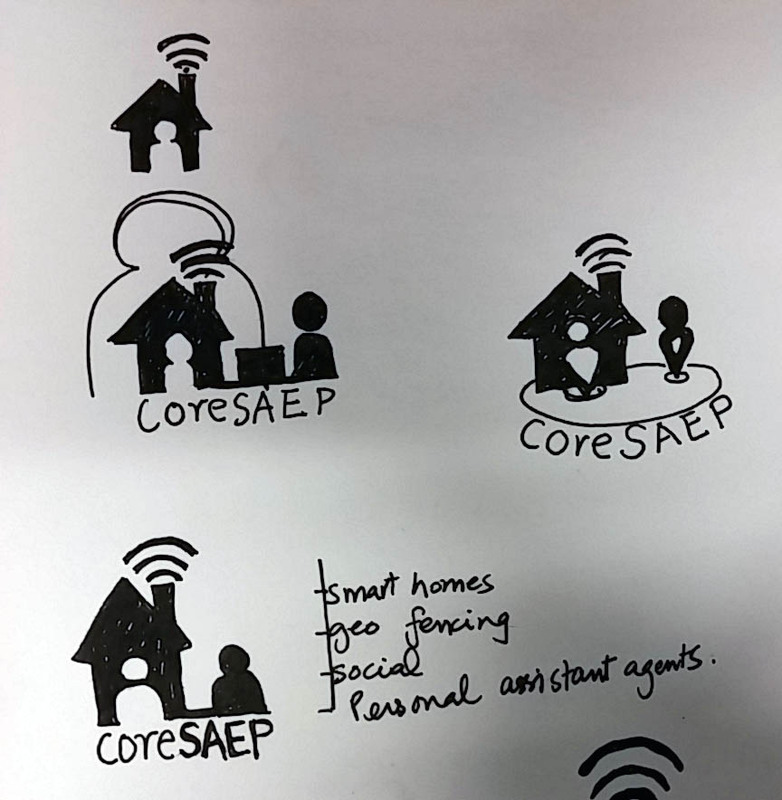 The CORESAEP identity should combine the salient features of home, safety and a network along with an electronic agent which is adaptive. The final identity chosen represented the important features of home, safety and a network which conveyed the main motto behind the project. 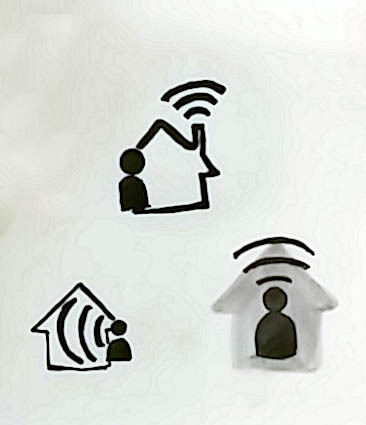 It was composed of simple lines with human forms and a silhouette of a house with wifi symbol; which represented the electronic as well as the human aspect of the project. Apart from visual identity, it is important for the project to convey its basic framwework to different stakeholder. An important need of the project is to be able to visually represent what is the flow and the basis of the research in the project. We talked and discussed with Dr. Birna Riemsdijk of what would be the best way to represent the framework and came up with a few ideas and arrived at a final visual which satisfied all our demands. The complex research in the project can be understood by peers in the same field but it also needs to be explained and contextualized to different stakeholders involved in the project. Hence,the idea to represent it in a scenario was born. 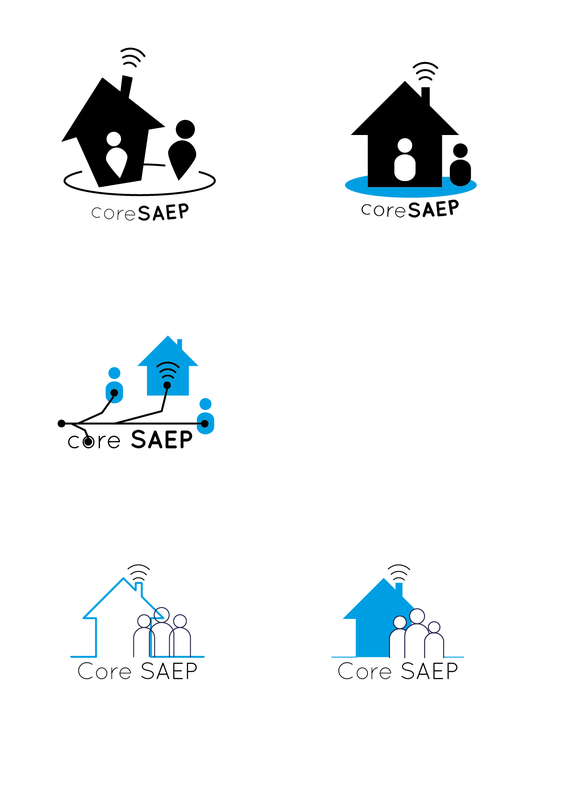 We discussed a potential application of the SAEP and how it would help people in daily lives. The scenario was sketched and illustrated as shown below.